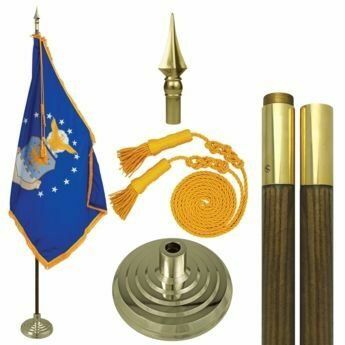 Buy the finest mounted Air Force flag sets available on the market today at AmericanFlags.com. We sell only top-quality American-made military flag sets. Beware of cheap, flimsy imitations. All of these sets are made to military specifications, are in-stock and ready to ship today.